When in Wanaka and looking for something to do, options include many action packed, adrenaline-pumping activities, all involving Wanaka’s natural beauty. One of these unique activities is Wild Wire Wanaka. 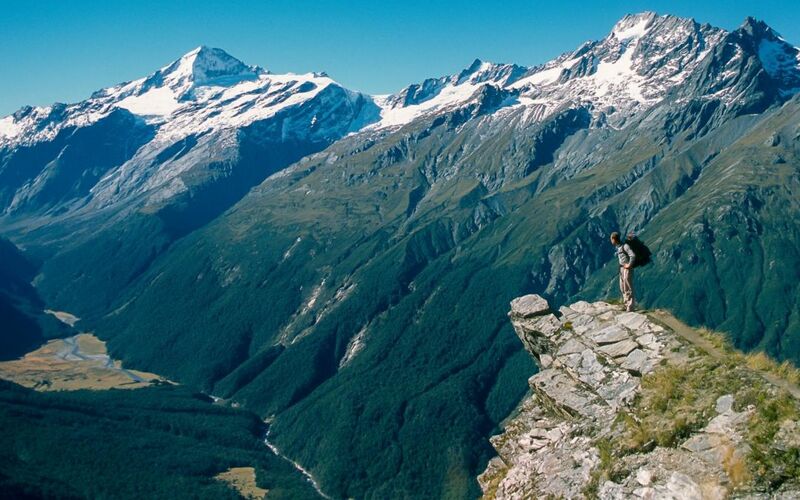 The Wild Wire climbs take place 20 minutes out of Wanaka on the Mt Aspiring Road just before the Treble Cone Skifield. The waterfalls, which the experience is centred around, are called the Twin Falls-one of the most majestic in Wanaka. Wild Wire Wanaka has a waterfall climb for everyone, with three different climbs, ascending in difficulty. The easiest climb is called “Go Wild” which is perfect to do with the family, if you are able to climb a ladder then you are able to “Go Wild”. It lasts for 1 hour and anyone can do it! The intermediate climb is called “Wild Thing”, offering more adventure and opportunities to do… Wild Things. It is a 2 hour add-on from Go Wild. It is steeper and longer but is similar to Go Wild, but higher off the ground. This climb is the most popular, with six bridges to be sure to pump your adrenaline. The most extreme climb is “Lord of the Rungs”. It is the highest waterfall via ferrata in the world! It adds another 1-2 hours to Wild Thing. You get to go before a 60m waterfall and several overhangs. It includes a return via helicopter and is definitely one of the most amazing and exhilarating things to do in New Zealand, let alone Wanaka. Via ferrata means iron road. They were originally used in World War 1, to help transport troops across steep mountain ranges. The modern version is a steel cable fixed to rock along a route. The climbers secure themselves to the cable and to climb they use rungs, pegs, bridges and ladders. All this equipment allows you to safely climb routes that may not have been able to access otherwise. One of the best things about this climbing system is that you do not need any climbing experience. The Wild Wire crew are very versatile, willing to adapt to your needs. They offer group climbs, exclusive for your party. WWW is perfect for stag or hen parties, as they accommodate to your needs, they work to find the right time, and the “right guide to climber ratio” if you have extra needs. No climbing experience is needed, only sturdy footwear and activewear suitable for the weather is needed. It is open all year round. Food is provided on Go Wild, and lunch on longer trips.